Any full-time Masters programme that includes studying the history of the modern Arab world. 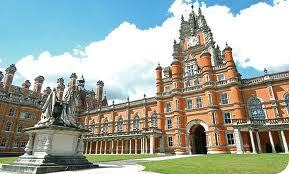 Applicants must possess a good honours degree from a UK university or an equivalent institution recognised by SOAS. Applicants must have an offer of admission to pursue a full-time masters programme at SOAS by the scholarship application deadline. Candidates will be assessed on academic merit by an Advisory Panel consisting of three academic members. The assessment of your application will be based on the information in your application. Selectors will be looking at the degree results and also at academic references, statement and other relevant information. Scholarship applications must be received no later than 17:00 (GMT) on 22 March 2013. Applicants applying for scholarships must also submit an application for a place well in advance. Please note that complete applications for a place to study can take up to 4 weeks to be considered by the Department, although this duration can vary depending on the time of year. You should be prepared to wait up to 6 weeks in busy periods. You can apply for this scholarship via the scholarship application form, which will be available in January. Demikianlah artikel mengenai Ahmad Mustafa Abu-Hakima Bursary, SOAS, University of London, UK Semoga Bermanfaat Bagi Anda.